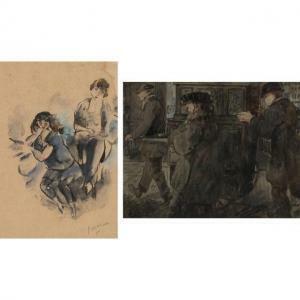 Find artworks, auction results, sale prices and pictures of Jean Emile Laboureur at auctions worldwide. JEAN-ÉMILE LABOUREUR Fleurs et Plumes. 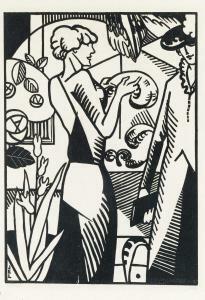 Woodcut on thin, cream laid Japan paper, 1913. 360x250 mm; 14 1/4x9 3/4 inches, full margins. Edition of approximately only 6. Signed, titled and inscribed "3/25 ep" in pencil, lower margin. Ex-collection Henri M. Petiet, with the ink stamp (Lugt 1956, lower left recto). A superb, richly-inked impression of this extremely scarce woodcut. Laboureur 690. 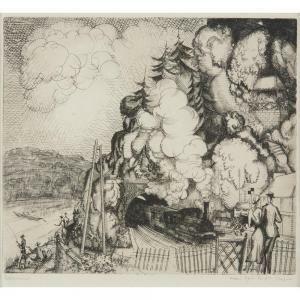 Description: JEAN-ÉMILE LABOUREUR (french, 1877-1943) "PAYSAGE AU TUNNEL" 1920, pencil signed and inscribed 'essai pour le 1 ère fois.' 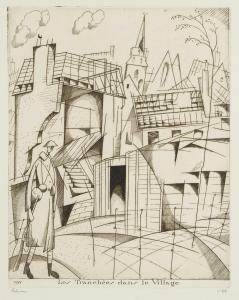 Etching on paper. Image size (sight): 7 3/4 x 8 3/4 in. 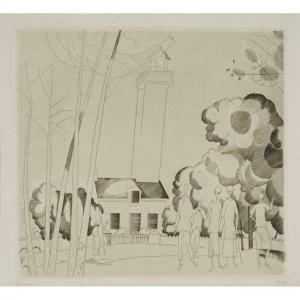 (19.7 x 22.2cm) Sheet size (sight): 8 1/4 x 9 1/8 in. (21 x 23.2cm) provenance: Wingrove Gallery. Collection of Jeffrey M. Kaplan, Washington, D.C. (acquired directly from the above in 1987).